Dr. Jason Reimuller of the Space Science Institute in Boulder, Colorado spoke at the American Geophysical Union’s Fall Meeting on Monday. In a session on “Exploring Geoscience Frontiers with Low-Cost Access to Space,” Dr. Reimuller talked about his plan to study polar mesospheric clouds (also called noctilucent clouds) with funding from NASA’s Flight Opportunities program. 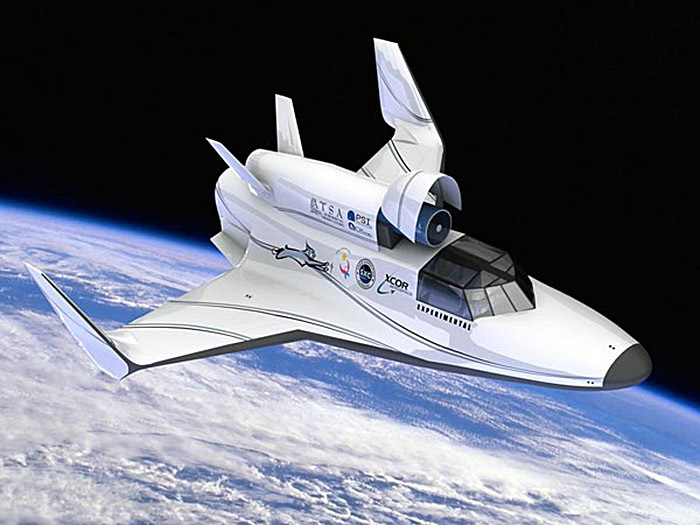 Dr. Reimuller’s experiment plan calls for a week-long campaign with multiple flights of the XCOR Lynx spacecraft operating from a high-latitude launch site. Elmendorf AFB, Alaska and Kiruna, Sweden are possibilities. Reimuller plans to conduct one initial flight from Mojave to gather baseline instrument data prior to the high-latitude deployment. The first year’s campaign, flying on the Lynx Mark II, would use a Canon EOS-30D camera with a linear polarizer as the primary instrument. In later years, the Lynx Mark III would carry a dedicated external observatory. Reimuller considers the ability to fly multiple times per day to be a key advantage for reusable suborbital spacecraft. Based on past experience with aircraft experiments, he believes the ability to tweak an instrument and refly within two hours is important. Reimuller doesn’t expect to use the full capacity of the Lynx every day, however. Instead, he expects there will be some flights available for other researchers who want to piggy-back onto the high-latitude deployment. Would there be takers for those flights? Certainly. We spoke to another atmospheric researcher later in the day who told us about her own requirement for high-latitude missions. In fact, we would likely take advantage of such an opportunity ourselves. Once our High Altitude Astrobiology experiment is successfully demonstrated, we will want to repeat the experiment at various geographic locations, including multiple latitudes.